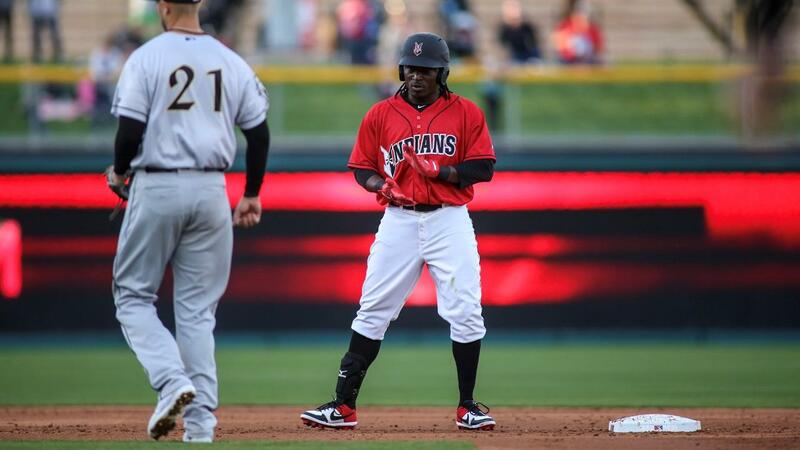 INDIANAPOLIS - Will Craig launched a 437-foot two-run blast and Trayvon Robinson ripped four extra-base hits to ignite the Indians to a 9-2 rout of Charlotte on Friday night. Robinson doubled in his first two at-bats and tripled in his final two plate appearances, giving him four hits for a second straight game. Indianapolis (5-3) fell behind 1-0 after a half-inning but Charlotte's lead didn't last long. The Tribe scored five runs in the third off Jordan Stephens. Elias Diaz hit a game-tying single to center and Craig followed with his two-run bomb that made it 3-1. Bryan Reynolds then singled and raced around the bases on Robinson's second double. Robinson eventually touched home plate as well on a Jake Elmore two-out single to right. Indy's next trip to the plate featured similar results, as the Tribe knocked Stephens out of the game with three more runs. Ke'Bryan Hayes doubled and scored on a Craig single to left. Eric Wood gave the Tribe their seventh run with a sacrifice fly to right ahead of a double steal executed by Reynolds and Craig that grew the Indians' lead to 8-1. The double steal made Craig the first Indians player with a steal of home since Eury Perez on July 17, 2017. A double play in the sixth brought home Brandon Guyer for Charlotte's final tally. Robinson wasn't finished at the plate, however. He tripled in the seventh and again in the eighth, the second scoring Reynolds who had previously doubled. Tribe starter Alex McRae (W, 1-1) benefited from Indy's high-octane offense, limiting the Knights to no hits until a Nicky Delmonico one-out single in the fifth. He allowed just two runs (one earned) on two hits in 6.0 innings pitched. Stephens (L, 0-2) suffered the loss after allowing eight earned runs on 10 hits in 3.1 innings of work. Robinson became the first Indians player with two triples in a game since Willy Garcia on April 27, 2016. The Indians and Knights will play the third contest of their four-game series on Saturday night at 7:05 p.m. Right-hander Eduardo Vera (0-0, 0.00) is scheduled to make his second career Triple-A start. Righty Spencer Adams (0-0, 9.00) will toe the rubber for Charlotte.